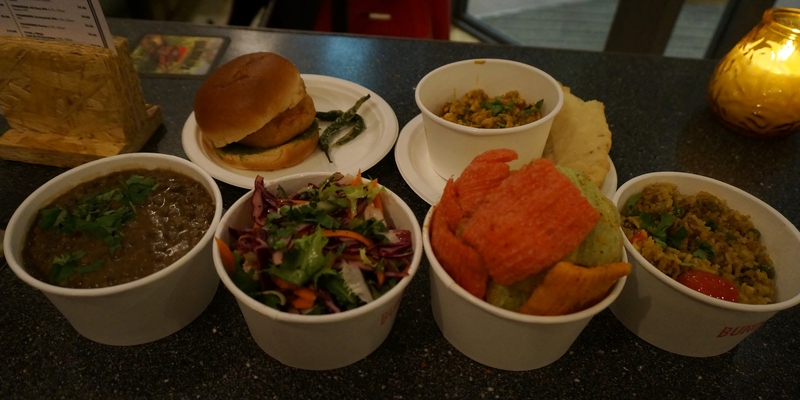 I’ve been a big supporter of Bundobust’s winning Indian street food and craft beer combination since it opened (see previous blog post here), so of course I jumped at the chance to try out the latest additions to the menu. And they didn’t disappoint. 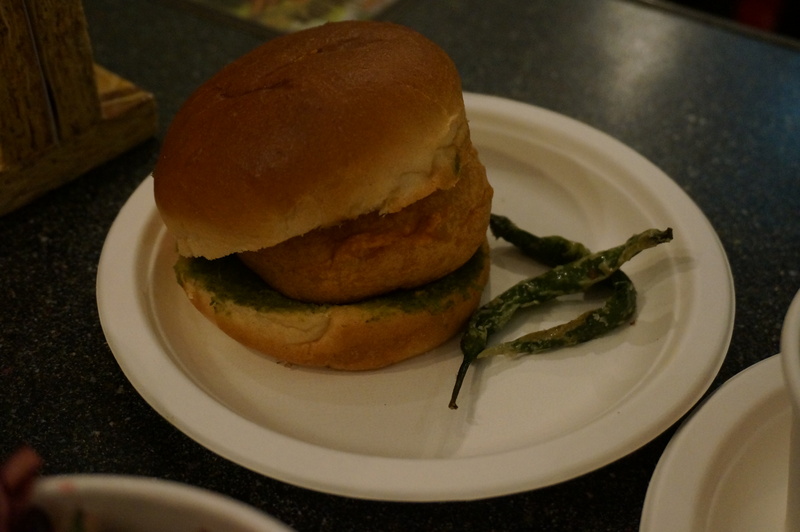 The stand-out for me was the Vada Pav, Mumbai’s favourite burger. The fried spicy mashed potato ball, coated in gram flour and served in a soft, sweet brioche bun with green and red chutney was carboliciously good, though not at all stodgy. The spices are complemented perfectly by the hot, salted green chillis served as a little nibble on the side. The Kachumber Sambharo, a salad of bitter leaves, cucumber and red cabbage, took away the spicy edge with a refreshing lemon kick of flavour and a mustard seed crunch to go with it. The Dhal and Rice has popped up on the Bundobust menu a few times as a special and popular demand has promoted it to a permanent fixture on the menu. Worth a trip just for this – a pot of fluffy basmati rice topped with a black lentil curry cooked low and slow and infused with ginger, garam masala and chilli. 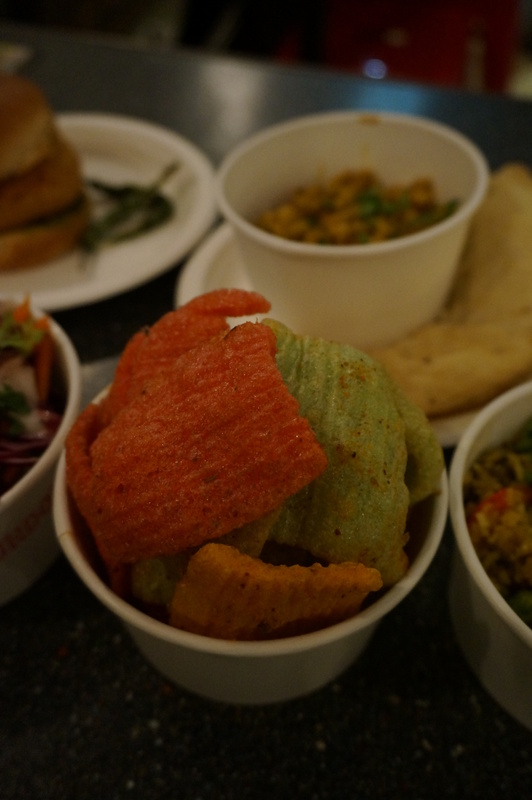 And if you’re only a little bit peckish, the Far Far beer snacks are sure to be a winner: savoury rice puffs with a dusting of spice. Will be popping back for a Bundobust Coriander Pilsner and a bowl or two of these soon.